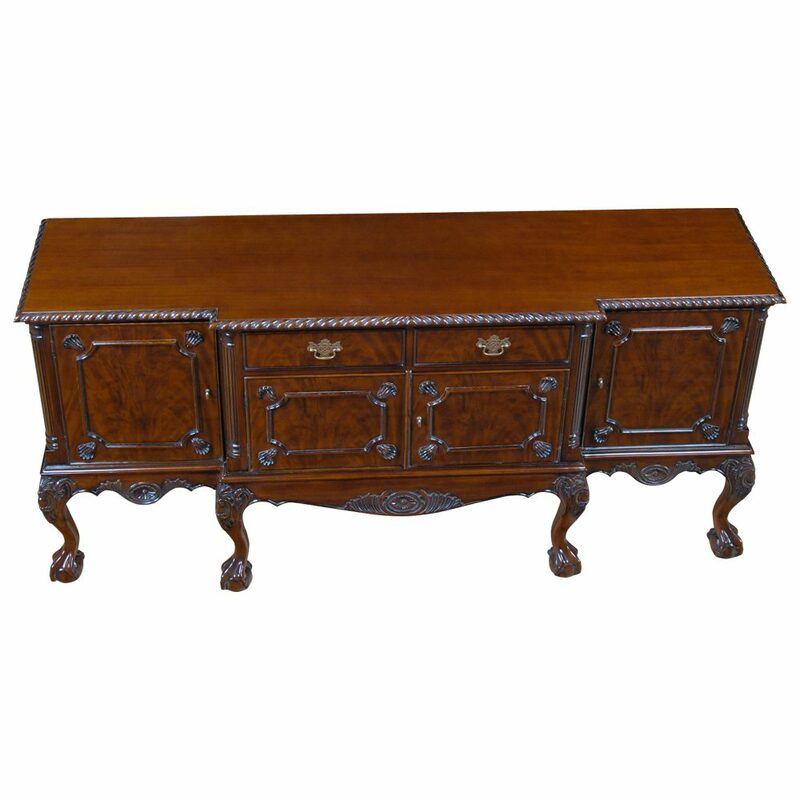 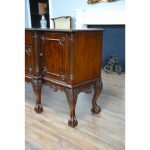 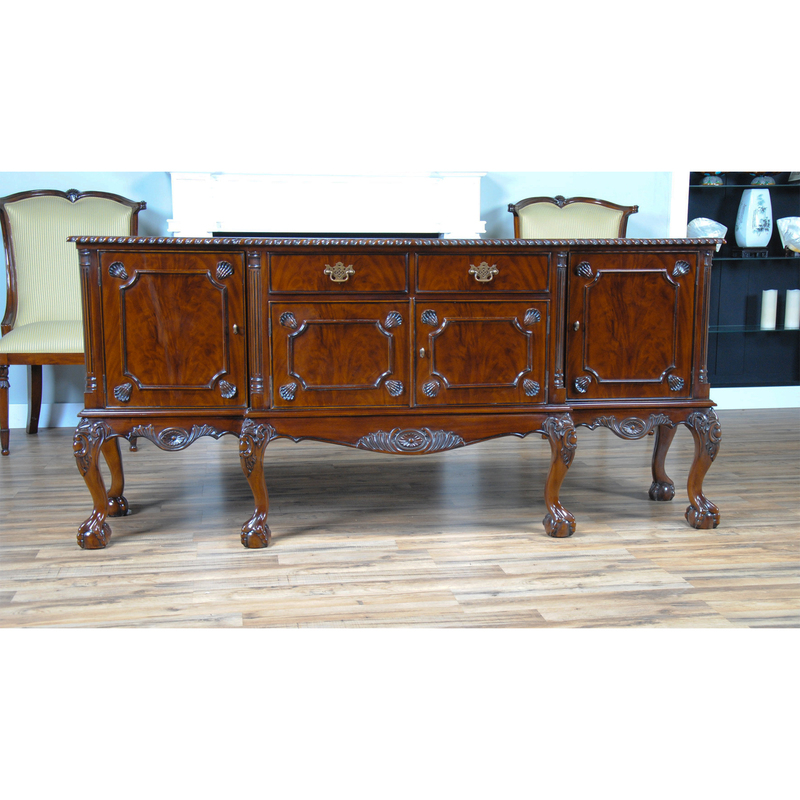 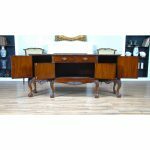 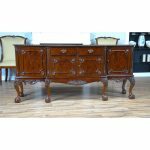 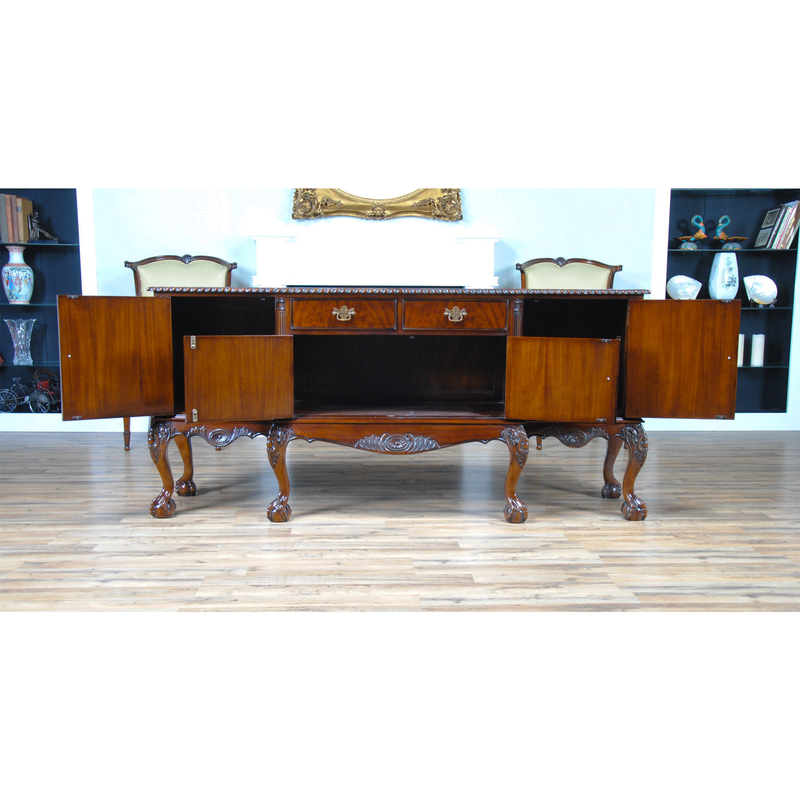 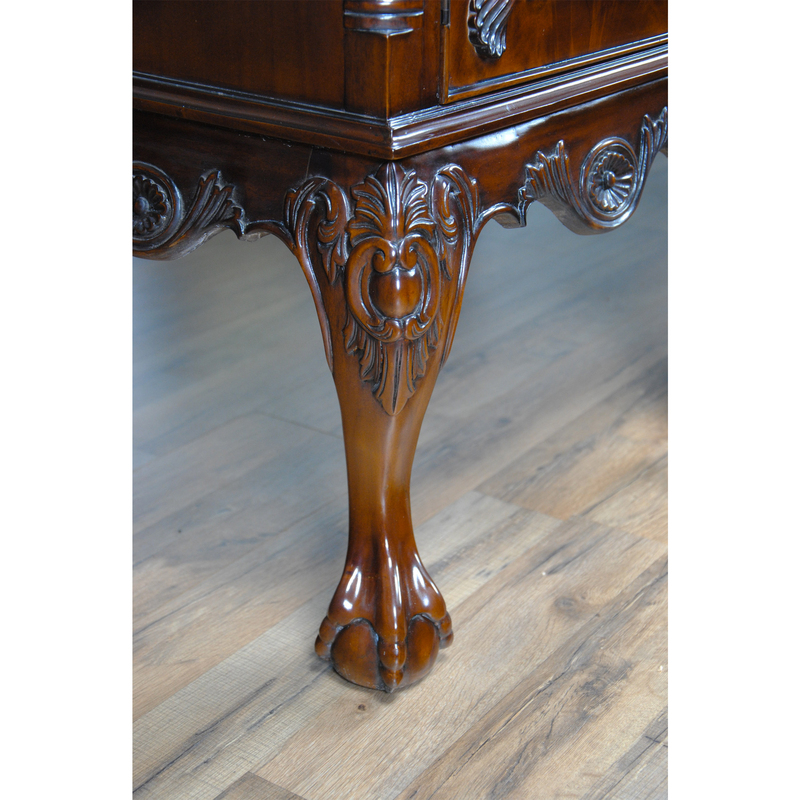 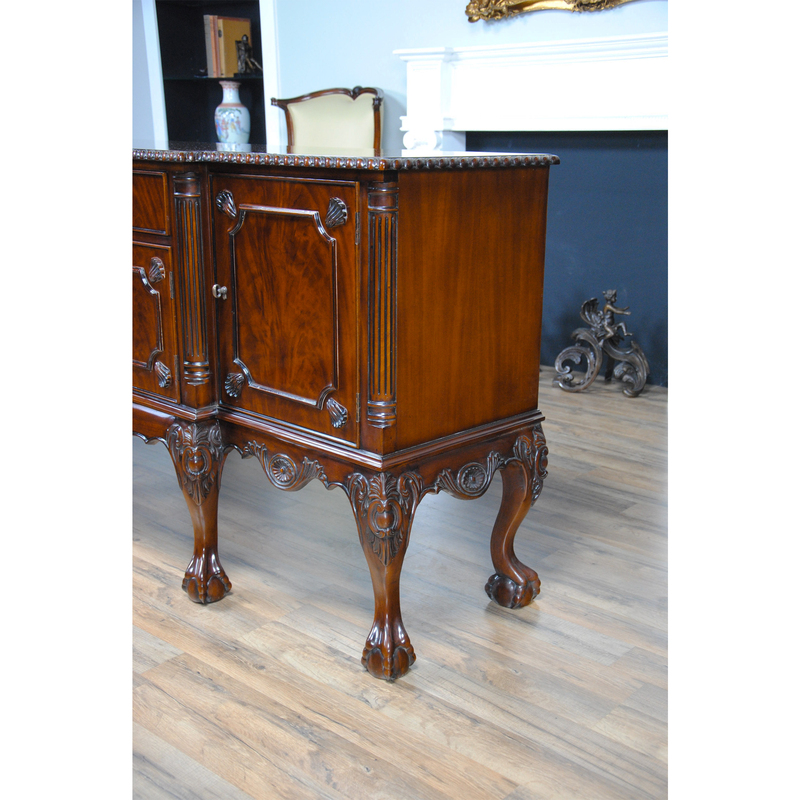 The Mahogany Buffet from Niagara Furniture is a Chippendale inspired piece of furniture and closely matches our Mahogany Chippendale Breakfront. 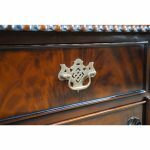 The bank of four dovetailed drawers align over the four figural veneered doors which conceal large storage areas, all resting on the shaped Cabriole legs and ball and claw feet. Finished in a beautiful brown hue this item has a traditional look that will never go out of style. 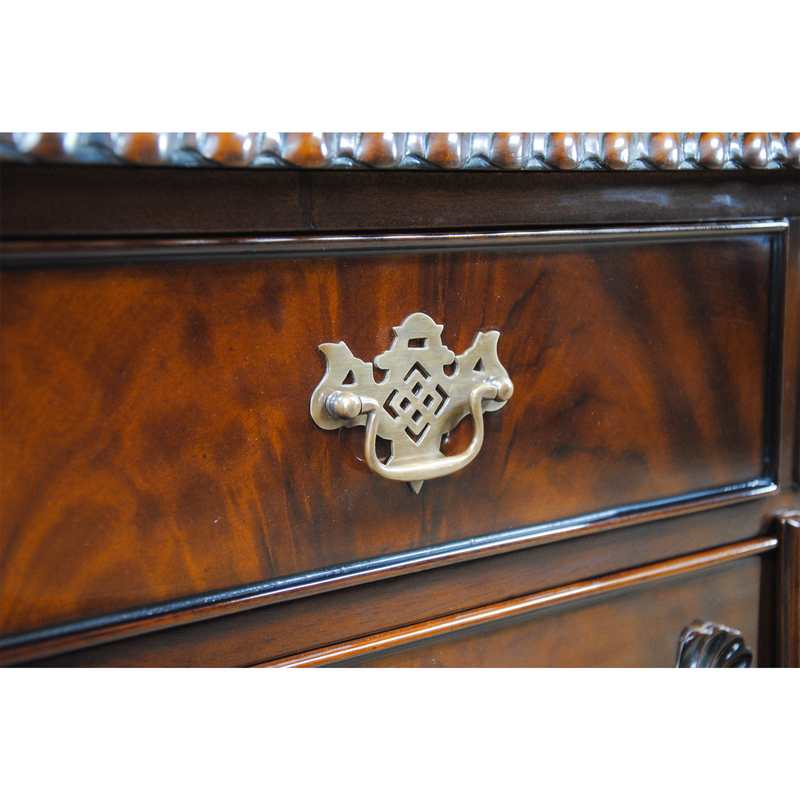 Designer style solid brass hardware completes the look of our Mahogany Buffet . 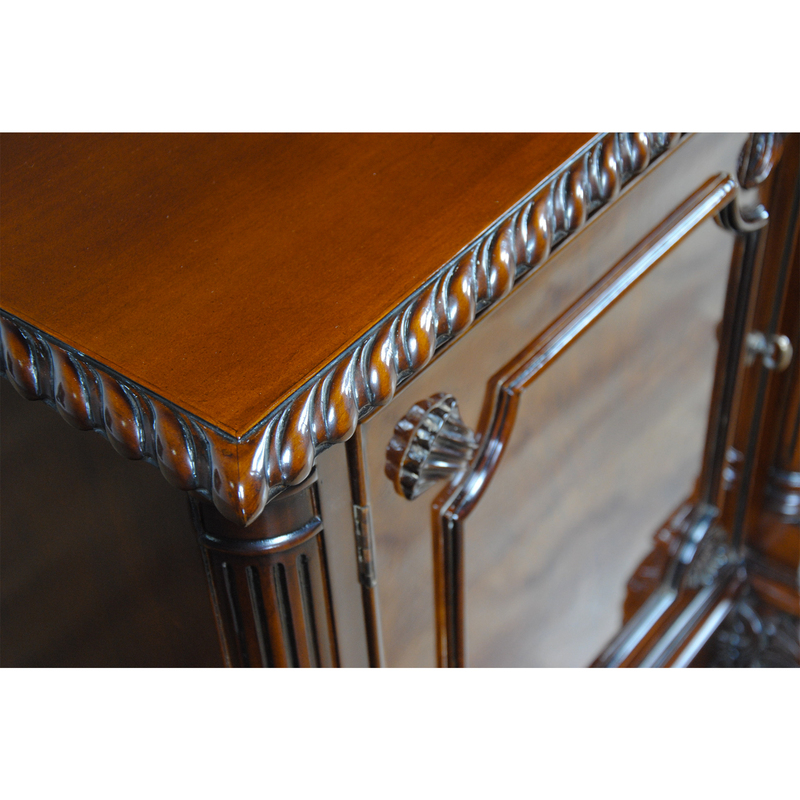 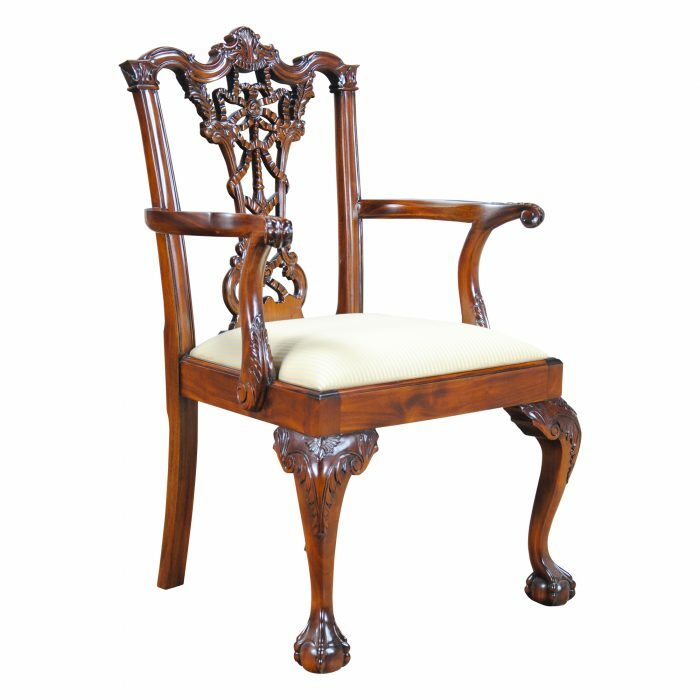 Meticulous hand carved details and craftsmanship abound. 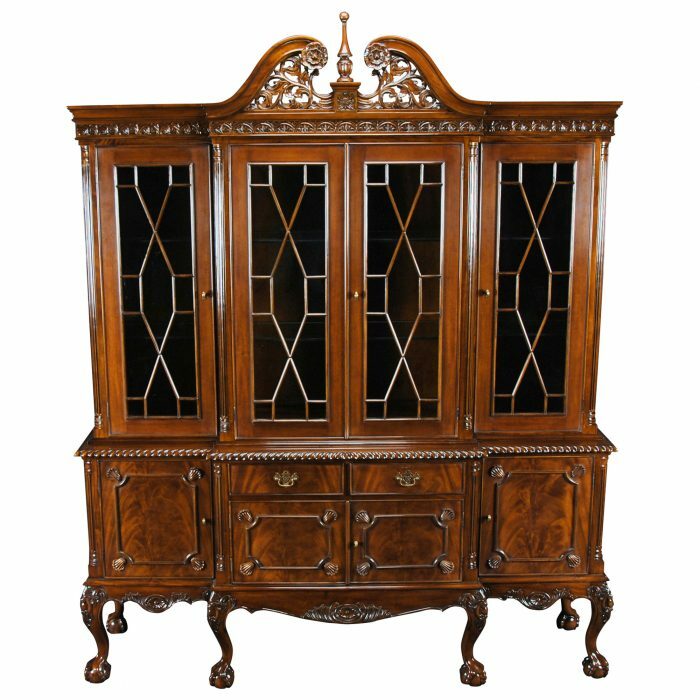 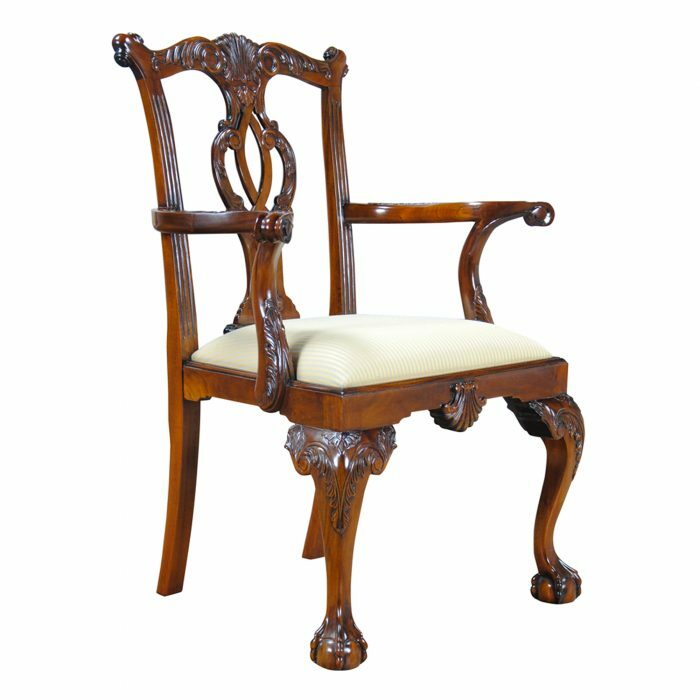 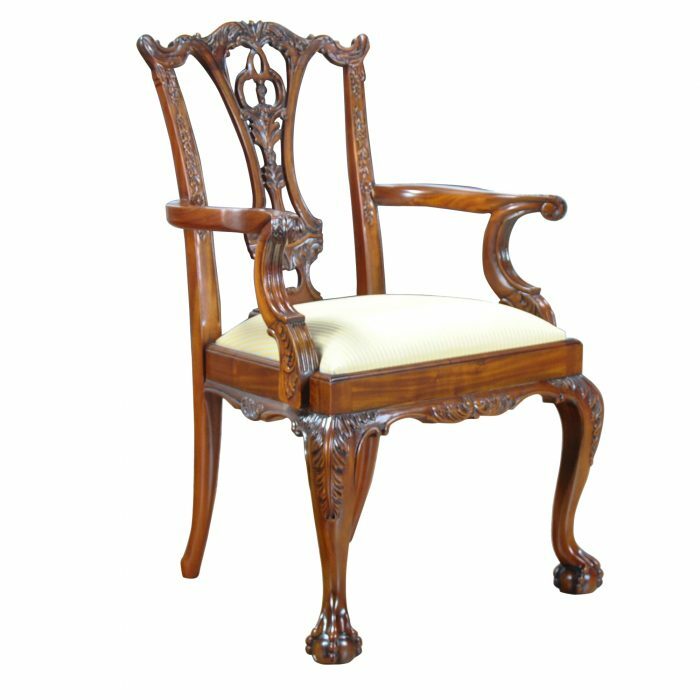 This cabinet compliments many of our Chippendale inspired dining chairs as well.